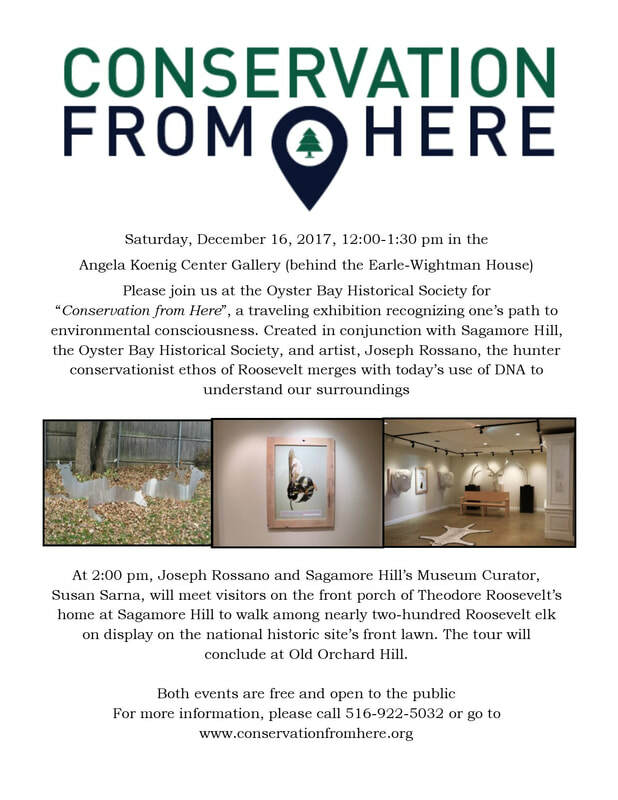 On Saturday, December 16th, at 12:00 pm, join us in the Angela Koenig Center to view our current exhibition "Conservation from Here" and meet the artist, Joseph Rossano. This event is free and open to the public. No RSVP required. Light refreshments will be served. Please join us for a special night of holiday celebration. 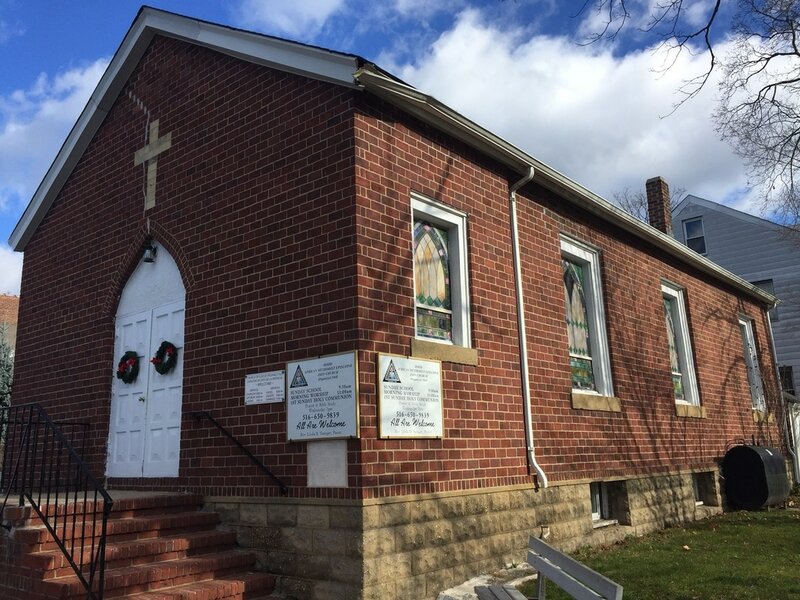 Starting at 4 pm, there will be a concert of Christmas songs and hymns at the A.M.E Zion Church. 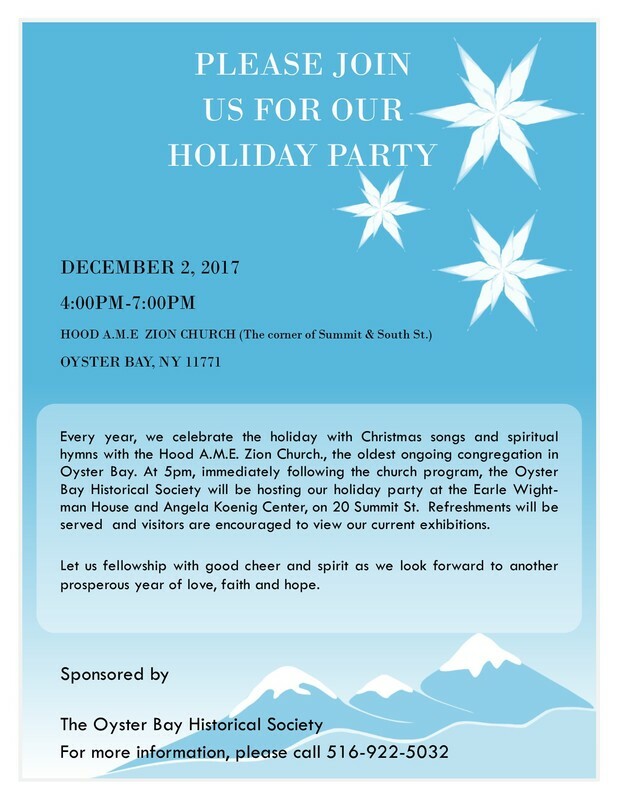 Immediately following the program, please proceed to the Oyster Bay Historical Society for our holiday gathering. The event is free and open to the public. We look forward to celebrating with all of you. 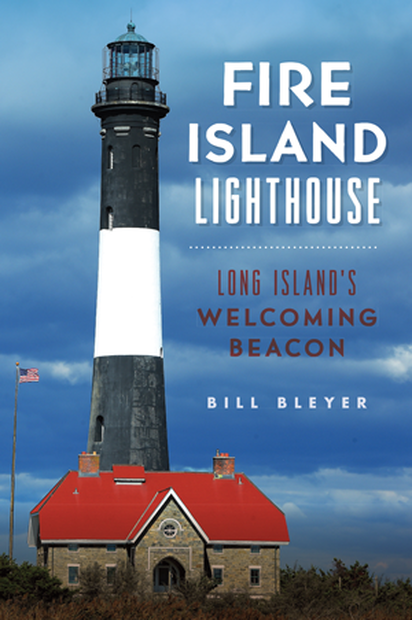 Author Bill Bleyer returns to the Oyster Bay Historical Society on Monday, August 21, to discuss Fire Island Lighthouse: Long Island’s Welcoming Beacon, published this May by Arcadia Publishing and the History Press. The program begins at 7 pm in the Historical Society's Angela Koenig Center at 20 Summit Street in Oyster Bay. Admission is free to current Society members ($10 for non-members) and includes light refreshments. Signed copies of Mr. Bleyer's books, including Fire Island Lighthouse,will be available for purchase. The first Fire Island Lighthouse was constructed in 1826 after numerous shipwrecks along the barrier island. The replacement tower built in 1858 incorporated innovations in lighthouse design such as the Fresnel lens. Vessels anchored offshore, known as lightships, complemented the lighthouse’s effectiveness for many years. Then, the Coast Guard shut down the facility in 1973. Through the efforts of the Fire Island Lighthouse Preservation Society and the National Park Service, the light’s beautiful structure was meticulously restored and the tower relit in 1986. Bleyer’s text, along with an illuminating selection of color photographs, charts the history of Long Island’s cherished Fire Island Lighthouse. 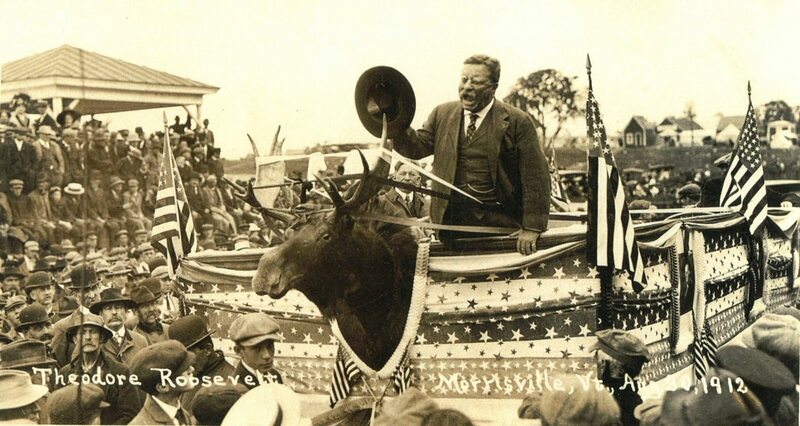 Bill Bleyer is the author of Sagamore Hill: Theodore Roosevelt’s Summer White House and co-author of Long Island and the Civil War, both published by the History Press. A graduate of Hofstra University, he earned his Master of Urban Studies degree at CUNY’s Queens College. 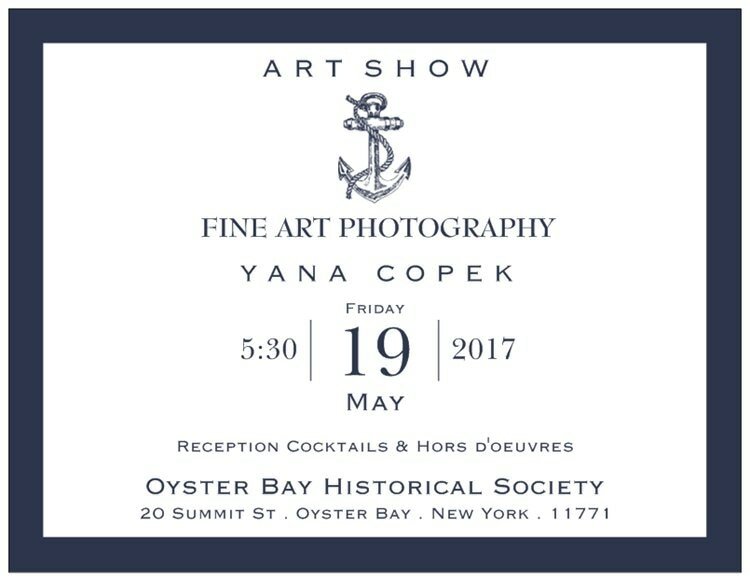 Yana Frangiskos Copek is primarily a portrait and event photographer, specializing in nautical photography while publishing an annual nautical calendar of classic wooden yachts under sail in Oyster Bay, New York. She studied fine art, film and photography at Long Island University’s C.W. Post campus, as well as decorative painting at The Finishing School. In the years since, she has traveled and photographed in Greece, Iceland, New York, Miami, California, and the high deserts of Nevada. She has exhibited her work in New York City, Long Island, and New Jersey. 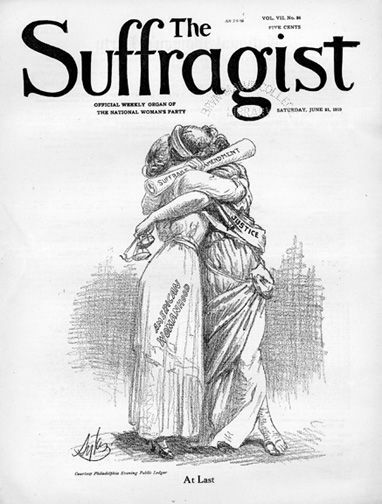 On Friday evening, August 18, the Oyster Bay Historical Society will present a special celebration of the centennial of women's right to vote in New York State. Readers from the local Oyster Bay community and across Long Island will take part in the program by presenting a short passage from the writings and lives of influential women in American history. Cherokee Bunn and Dwayne of Cherokee Music will provide musical interludes during the program. 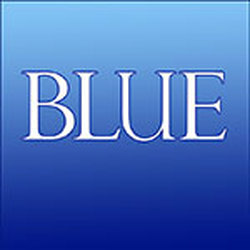 Monday, May, 29, 10:30 a.m.
Artists working in fiber and clay express their ideas about blue in all its shades and contexts in an exhibition opening March 7 at the Oyster Bay Historical Society's Angela Koenig Center. The public is invited to meet the artists and see their work and artist statements at a reception on Sunday, March 19 from 3 to 6 PM. This exciting work is both functional and sculptural and includes ceramic trays, hand-dyed coats, bowls, vases and boxes, as well as felted and quilted wall pieces in cobalt, indigo, slate blue, turquoise and more. Exhibition juror Judith S. Schwartz, Ph.D., is a Professor at New York University and Head of Sculpture: Craft Media Area. She is a curator and author of national and international exhibitions and articles on contemporary ceramics, and author of Confrontational Ceramics. Her statement served as a starting point for the artists: "The concept of 'Blue' with its rich cultural and historical roots for both fiber and clay beckons associations with ancient civilizations of Egypt, India and Asia. There is no more royal a color. 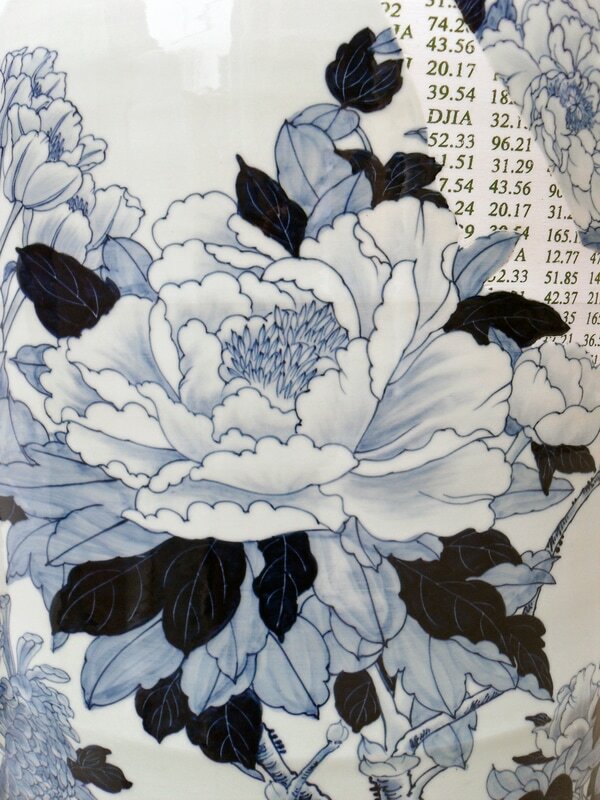 Natural provides indigo for fiber and cobalt oxide for clay. . .Its popularity has not waned. In contemporary art, blue-and-white color motifs are reimagined in every medium." exploration of the mysterious Polygonum Tinctorium, or Japanese Indigo, when she ordered some indigo seeds in 2002. 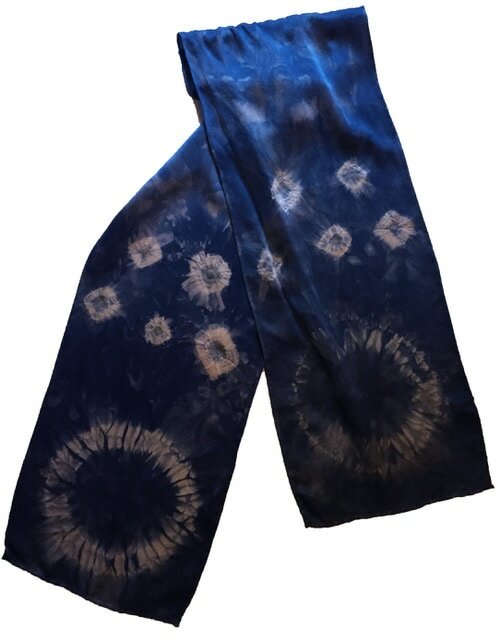 She will discuss both the process of vat dyeing with indigo and how she embeds her dyed cloth in pulp to create pulp paintings and experiments with shibori techniques to make resist patterns on silk. 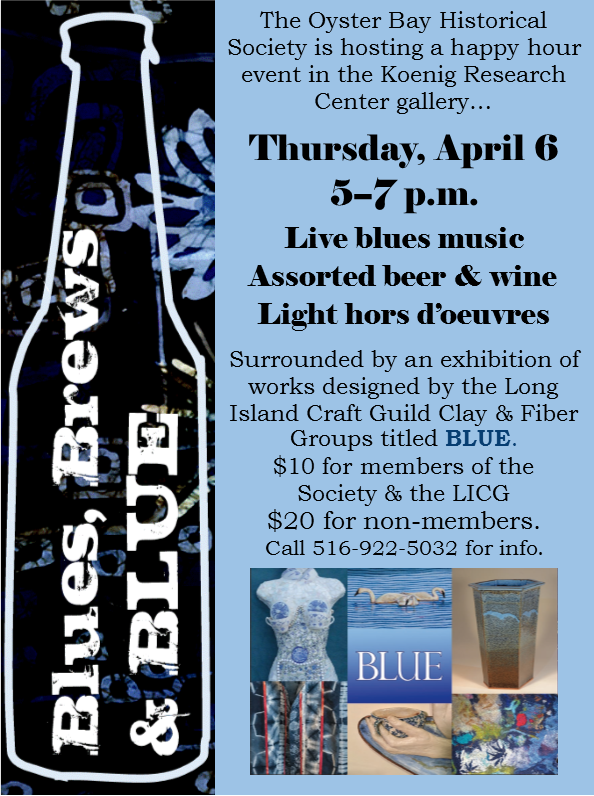 Other activities connected with the exhibition include a "Blues & Brews" event on Thursday, April 6, from 5 pm to 7 pm, and a panel discussion featuring some of the exhibiting artists at the closing reception on Sunday, May 7 from 3 to 6 PM. 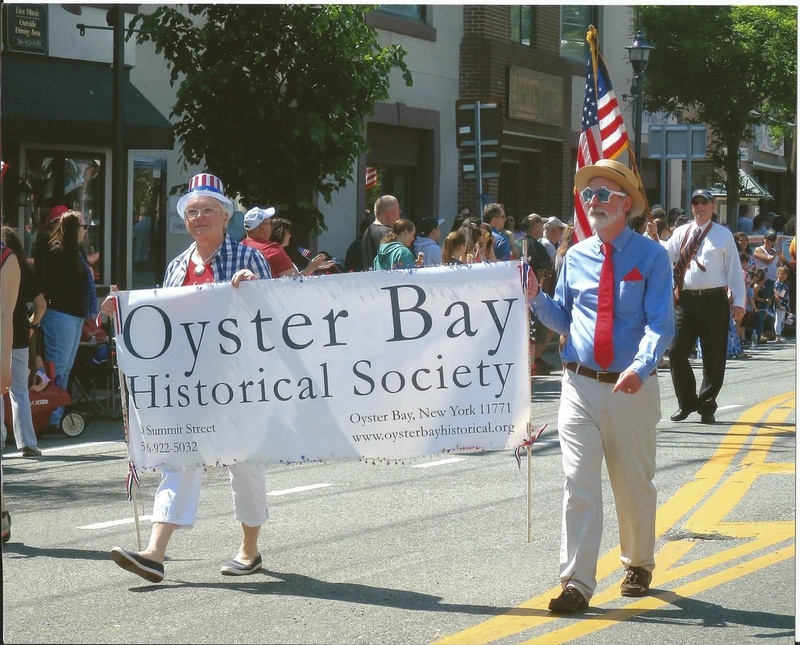 The Historical Society is at 20 Summit Street in Oyster Bay. Gallery hours are Tuesday through Friday, 10 AM to 2 PM; Saturday, 11 AM to 3 PM and Sunday, 1 to 4 PM. For more information or directions, call 516-922-5032. The Long Island Craft Guild is committed to the development of the crafts movement, and seeks to promote the exchange of information and experiences that will benefit both artists and the community. Membership in the Guild is open to all people interested in the creation and exhibition of fine craft. The LICG is an independent, non-profit educational organization. Since 1956, the Guild has provided educational and informational services, regular meetings and workshops, and a sense of community among crafts people. More information is on the Guild’s website, www.licg.org. 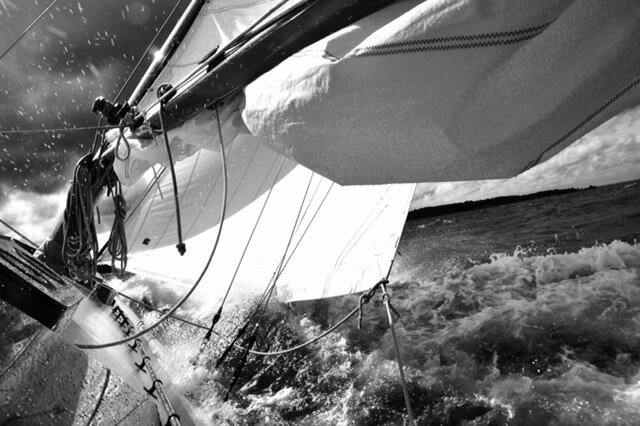 There are many shared maritime traditions of Long Island and the Hudson River, when the region was dominated by water-based transportation. In this program, we will explore boat building and songs of work and play. Participants will include boat builder and model maker Chris Hale, who work at Weeks Yacht Yard in Patchogue and is a master half-model builder of traditional boats from Long Island and the Hudson River. 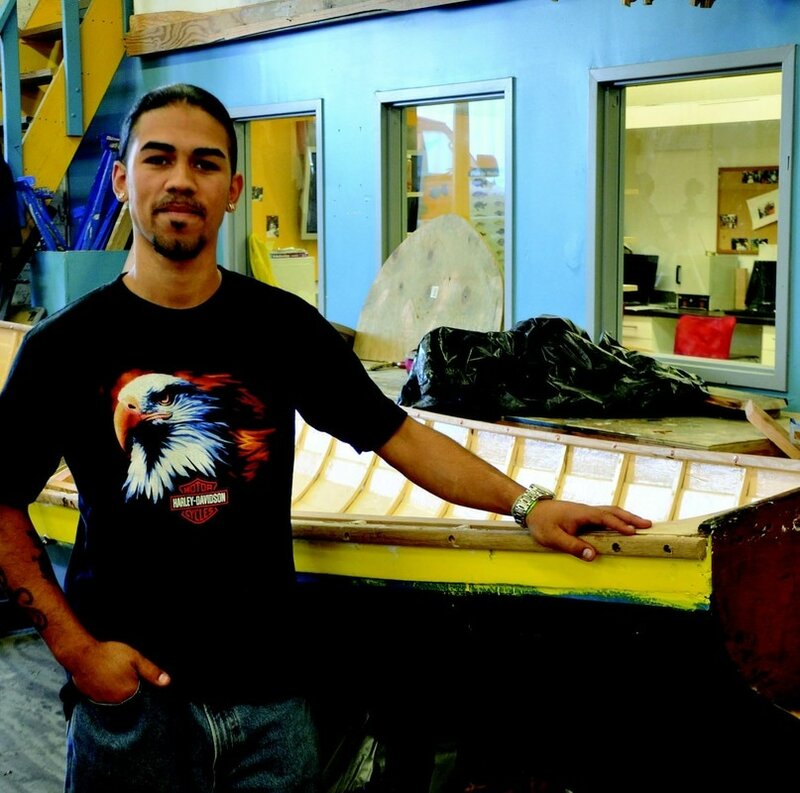 Rocking the Boat, a volunteer youth program based in the Bronx, will demonstrate traditional boat building skills common in Hudson River work boats. 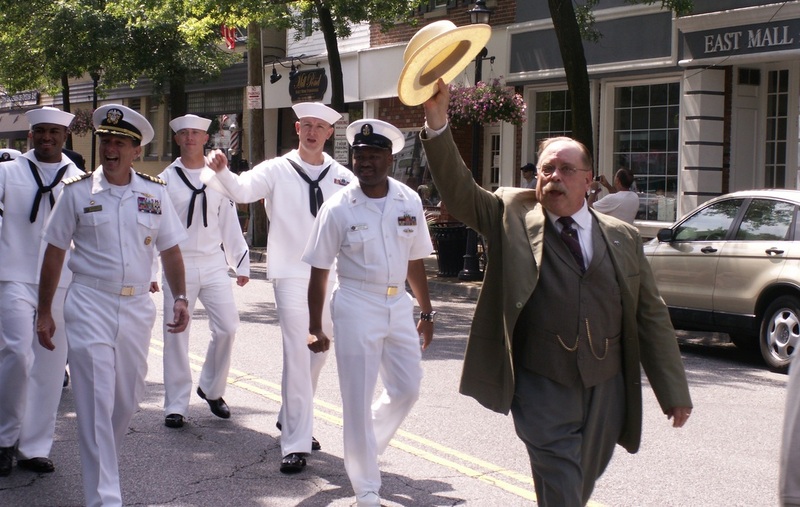 Folksong singers Stephen Sanfilippo and Stuart Markus will perform traditional nautical songs common in the region. The program is free and suitable for families and children. Historical Society Director Philip Blocklyn provides an overview of best practices for handling, preserving, and displaying your books, maps, and other paper-based treasures. 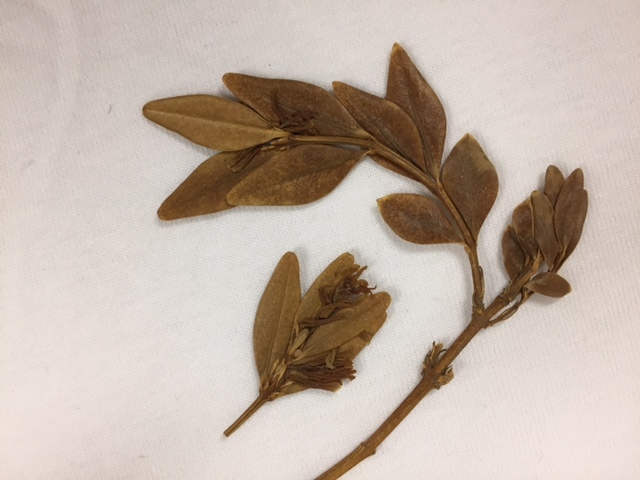 The program will include some hands-on demonstrations of simple techniques aimed at keeping your collections safe and secure. 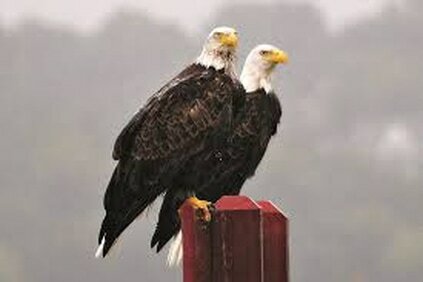 National Park Service Ranger MaryLaura Lamont returns to the Oyster Bay Historical Society for a presentation on eagle nesting at The William Floyd Estate. The program takes place on Sunday, March 26, beginning at 2 pm in the Angela Koenig Center on 20 Summit Street in Oyster Bay. Admission is free and open to the public. Light refreshments will be served. Please call 516-922-5032 for more information. Naturalist and Park Ranger MaryLaura Lamont oversees interpretive programs at the William Floyd Estate, as well as serving as the education chair of the Long Island Botanical Society. March 16, 2017, at 7 p.m. 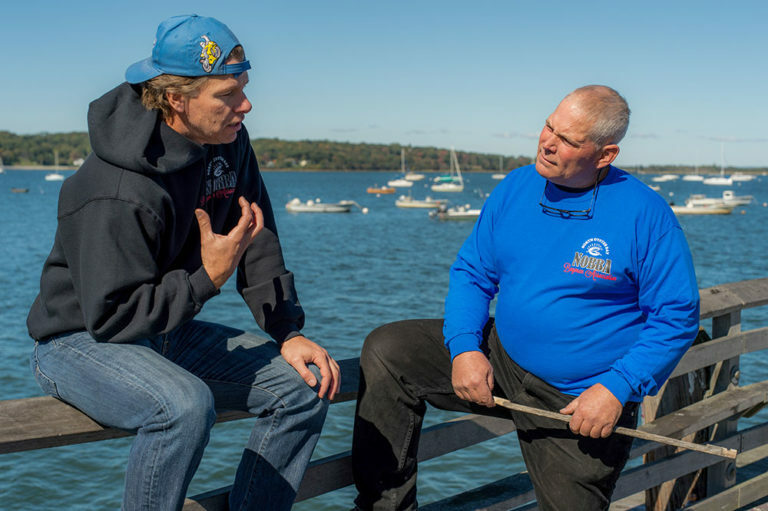 The North Oyster Bay Baymen’s Association is working with filmmaker Eric Gulbransen on the production of a new documentary, The Bay Of Imbalance. In this informal preliminary viewing, you’ll get an update on the issues raised in the film and learn more from baymen involved with the project. 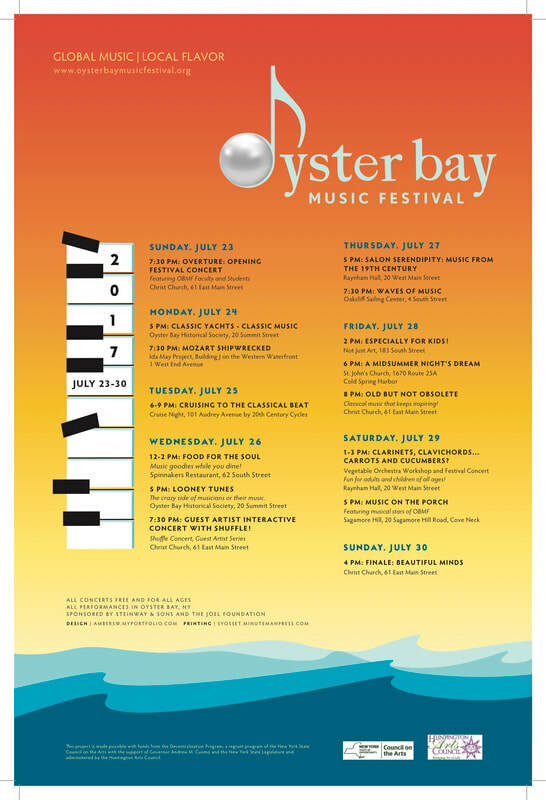 The program takes place in the Oyster Bay Historical Society's Angela Koenig Research Center at 20 Summit Street in Oyster Bay. Admission is free and open to the public. 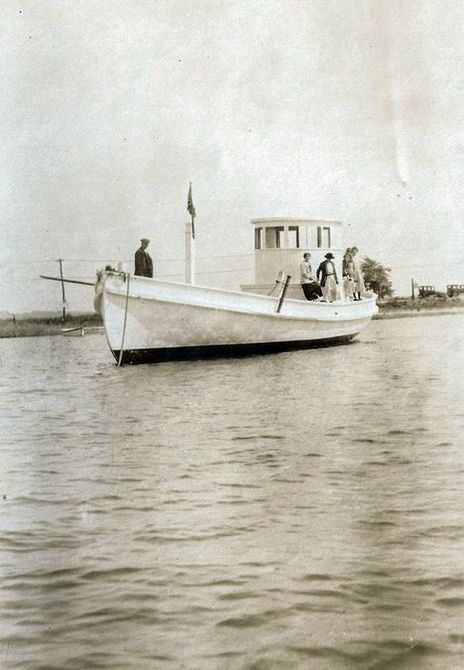 On Thursday, March 2, at 7 pm in the Oyster Bay Historical Society’s Angela Koenig Center, volunteers from the Ida May Project will be on hand to discuss the work to date on replicating an oyster dredge that worked the waters of Oyster Bay Harbor for over 75 years. The program is free and open to the public. Following a screening of the 1981 film Portrait of an Oysterman, the evening’s presentation will reprise briefly the history of Ida May, the origin of the project and the involvement of volunteers in the construction effort, before turning to the building process itself and the progress made so far. Photos will illustrate the work that has been accomplished to date. Following the presentation a panel discussion with some of the Ida May Project volunteers will take a look at their experiences building a traditional wooden boat, their reasons for accepting the challenge, and their thoughts on what it all means to the community. A question-and-answer session will complete the evening. Building a 50-foot, 49-ton wooden vessel using traditional wooden boatbuilding techniques is an uncommon project, and it is possible that Ida May could be the last of its kind built on Long Island. The presentation should provide an interesting glimpse into a modern-day version of a process that has been carried out for centuries. Inspired by Nicole Menchise’s October 2016 Archives Week program on unique, unusual, and unsettling items in the Historical Society’s collections, Favorite Things brings together rarely-seen examples of 19th and 20th century fashion, cartography, chronometry, biblio-artistry, and all-American ingenuity. On view in the Angela Koenig Research and Collections Center through February 19, 2017. 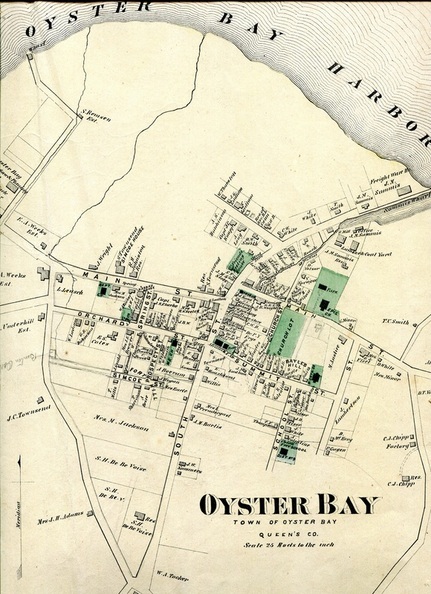 Author Bill Bleyer returns to the Oyster Bay Historical Society on Monday, February 13, to preview his upcoming book on Long Island's maritime history, to be published by the History Press in late 2018. 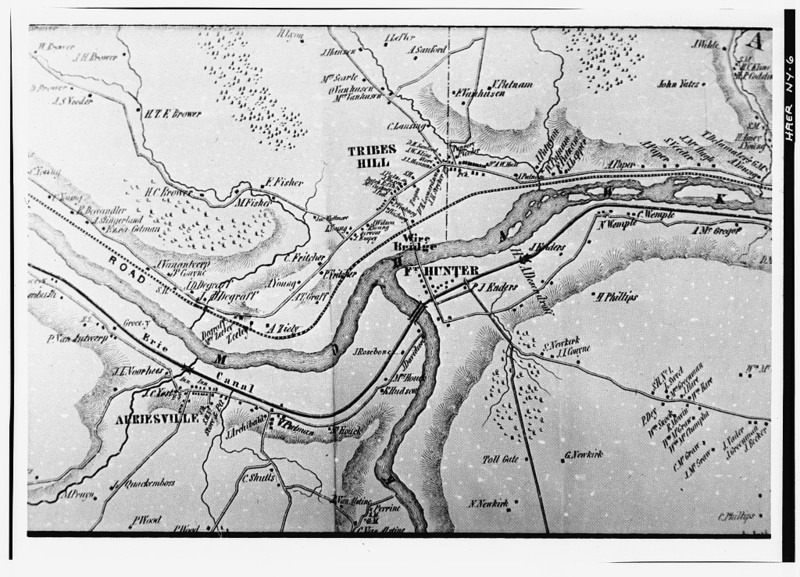 Beginning with the country's first amphibious landing on Plum Island, Mr. Bleyer will examine the blockades and whaleboat raids of the American Revolution, submarine maneuvers during the War of 1812, Confederate raiders of the Civil War, the sinking of an American warship off Fire Island during World War I, and U-boat espionage of World War II. The program begins at 7 pm in the Historical Society's Angela Koenig Center at 20 Summit Street in Oyster Bay. Admission is free to current Society members ($10 for non-members) and includes light refreshments. 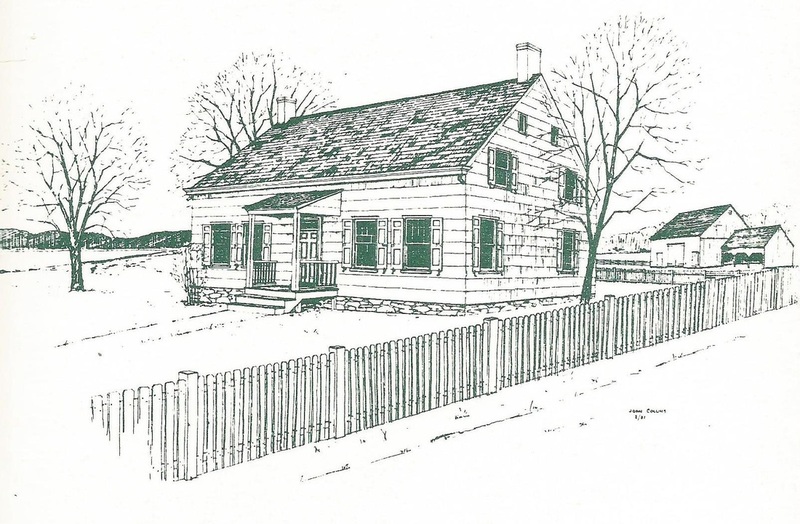 Signed copies of Mr. Bleyer's books Long Island in the Civil War and Sagamore Hill: Theodore Roosevelt's Summer White House will be available for purchase. I stumbled upon a treasure trove of my own journals, while at the same time discovering that Mary Cooper began keeping one in 1768... The exhibition explores what we have discovered about Mary's life and mine, and the journals that give a bird's eye view of each person's unique perspective. Artist Beth Vendryes-Williams explores the tradition of journal writing and sketching in an exhibition where viewers—through a combination of writing, drawing, painting, collage, and photography—examine the many ways journals can creatively document an individual’s feelings and ideas over the course of a lifetime. On view October 23, 2016, through January 29, 2017. Each form of historical evidence contributes to the whole of our knowledge of a past culture. The private diary, intended only for the writer’s eyes, reveals personal thoughts and feelings in a way that other historical records may not. The specifics of a matter may be missing from a diary; unlike correspondence, the private diary does not spell out the constants. But it does admit us further unto the writer’s life than most other documents. That The Diary of Mary Cooper is an important primary source in the historical record is undeniable. 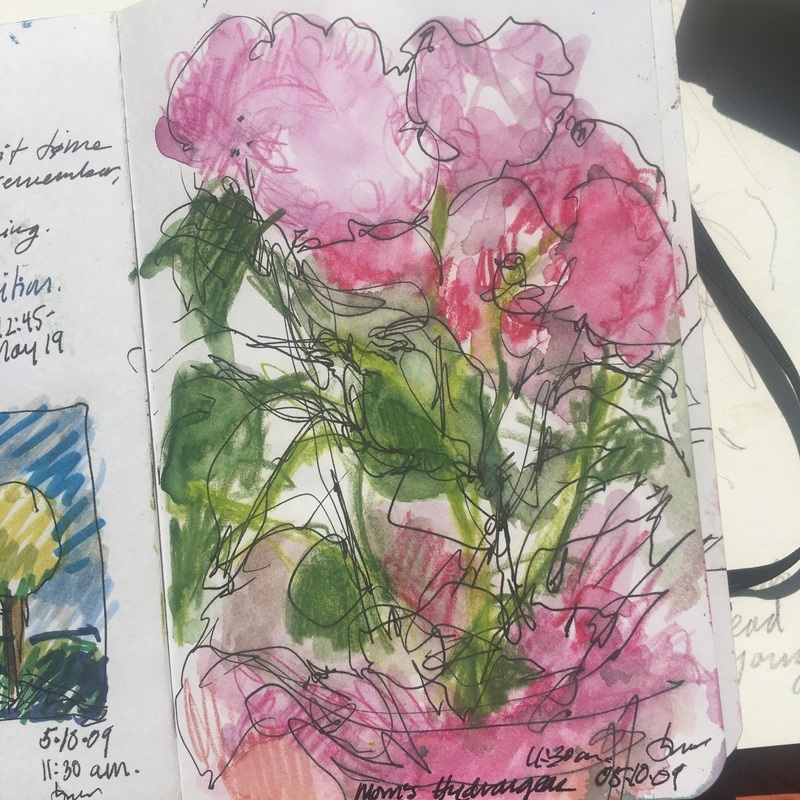 But as Painting Daily: Journals at the Source indicates, Mary Cooper’s writing can also inspire us to look back at the records we may keep of our own personal lives, and at the work to which we devote our days. 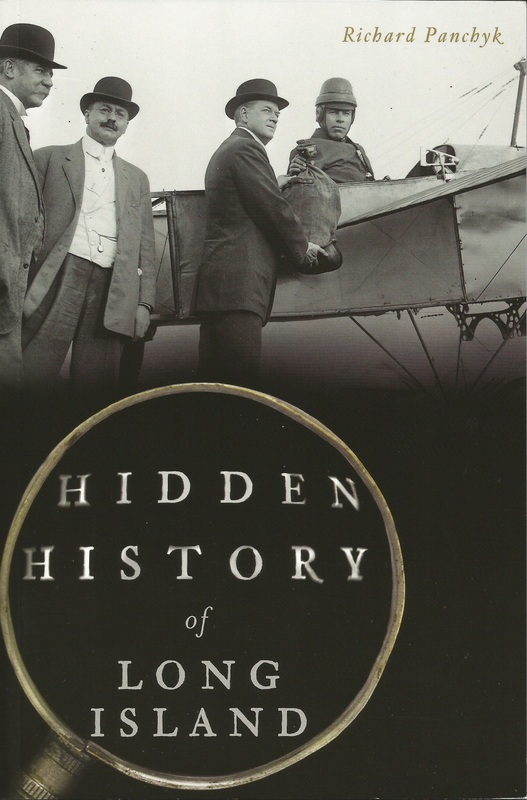 On Thursday, January 26, join Richard Panchyk for a program illustrating his latest book Hidden History on Long Island. 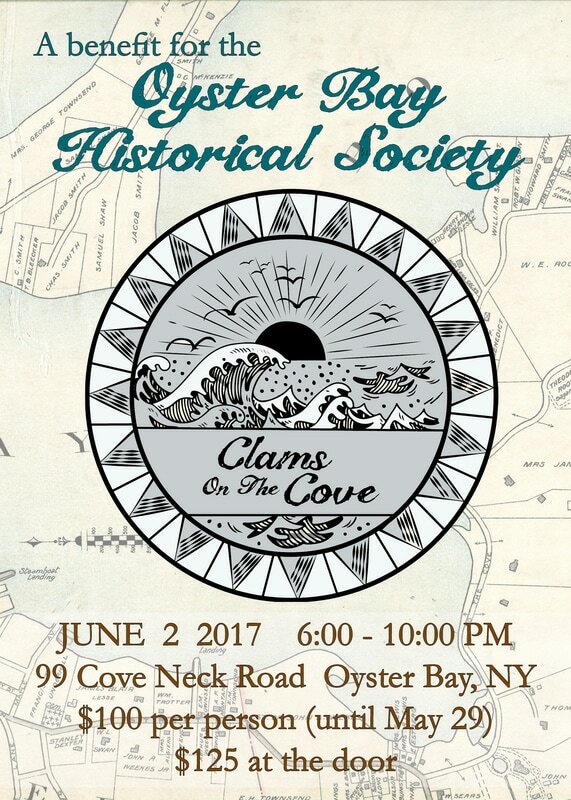 The evening's event begins at 7 pm in the Oyster Bay Historical Society's Angela Koenig Center at 20 Summit Street in Oyster Bay. Attendance is free and open to the public. Light refreshments will be served. Copies of Hidden History on Long Island will be available for purchase and signing. For more information, please call 516-922-5032. 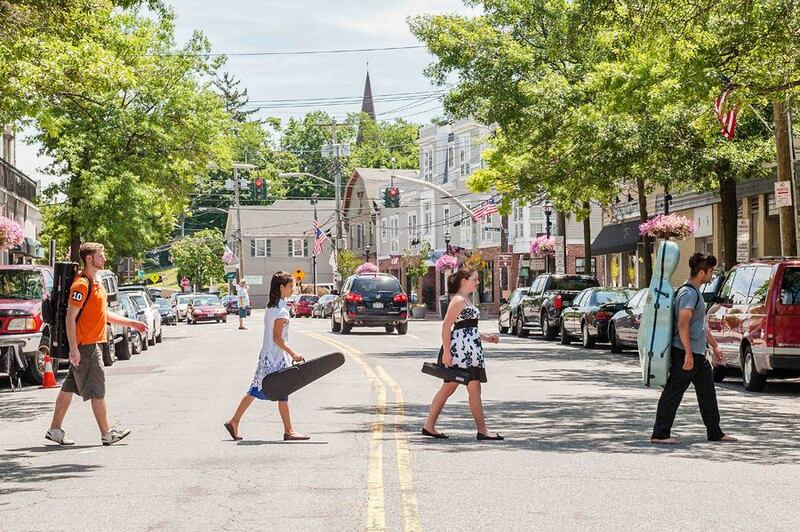 Long Island's history is filled with fascinating firsts, magnificent mansions, and fascinating characters. From Glenn Curtiss, the first pilot to fly a plane on the Island, to Earle Ovington, who carried the country's first airmail, the area has been known as the cradle of aviation. Millionaire William K. Vanderbilt's Long Island Motor Parkway, remnants of which still remain, was the nation's first highway. The desolate ruins of an exiled Albanian king's estate lie in the midst of the woods of the Muttontown Preserve. Captain William Kidd, pirate chaser turned pirate, is rumored to have buried treasure on the island. Richard Panchyk reveals the rapidly vanishing traces of Long Island's intriguing history. Richard Panchyk knew he wanted to be a writer by the time he was seven years old. He made his first sale, a four-page handwritten trivia booklet written on a folded piece of looseleaf paper in runny blue ink, to a third-grade classmate for a nickel. A native of Elmhurst, Queens, Richard attended the prestigious Stuyvesant High School, where he took a class on the history of New York, and has been fascinated by the area's past ever since. He printed a small book of his poems at the age of nineteen and published his first book at the age of twenty-one. Since then he has published twenty-seven books, for a total of more than three thousand pages, including five titles on Long Island's history and seven titles on New York City's history. His first book for The History Press was published in 2007. 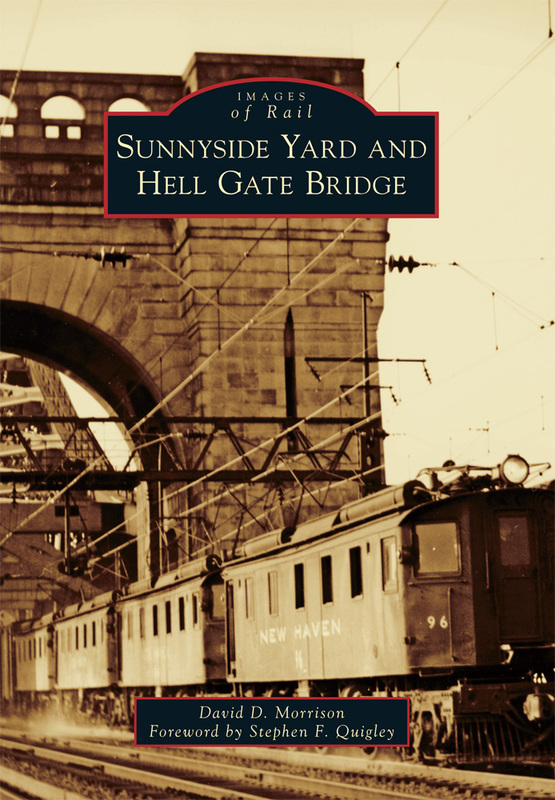 Join Dave Morrison for a program illustrating his latest book Sunnyside Yard and Hell Gate Bridge. 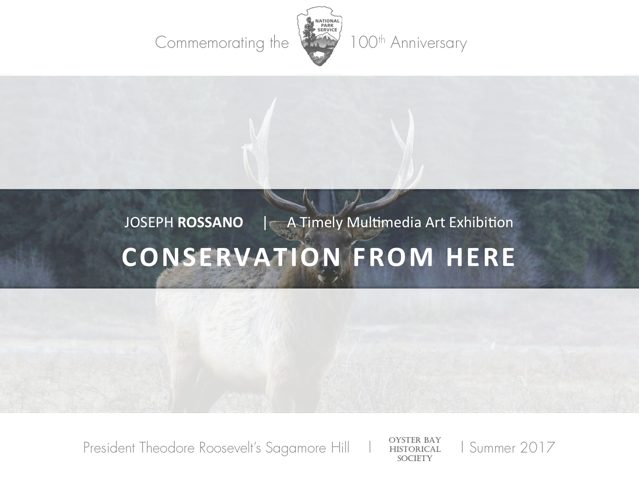 The evening's event, held in partnership with the Oyster Bay Railroad Museum, begins at 7 pm in the Angela Koenig Center at 20 Summit Street in Oyster Bay. Attendance is free and open to the public. Sunnyside Yard was built by the Pennsylvania Railroad as part of its massive New York Extension, the centerpiece of which was Pennsylvania Station in the heart of Manhattan. Opened in 1910, it is still the world’s largest railroad passenger car storage yard. At the height of its operation in the 1930s, there were 79 tracks, with a capacity for 1100 cars. Hell Gate Bridge was a joint venture of the Pennsylvania Railroad and the New Haven Railroad to construct a direct rail route for trains between New York City and the New England states. The main span is 1,017 feet between the towers, and it rises more than 300 feet from the East River to the top of the towers. 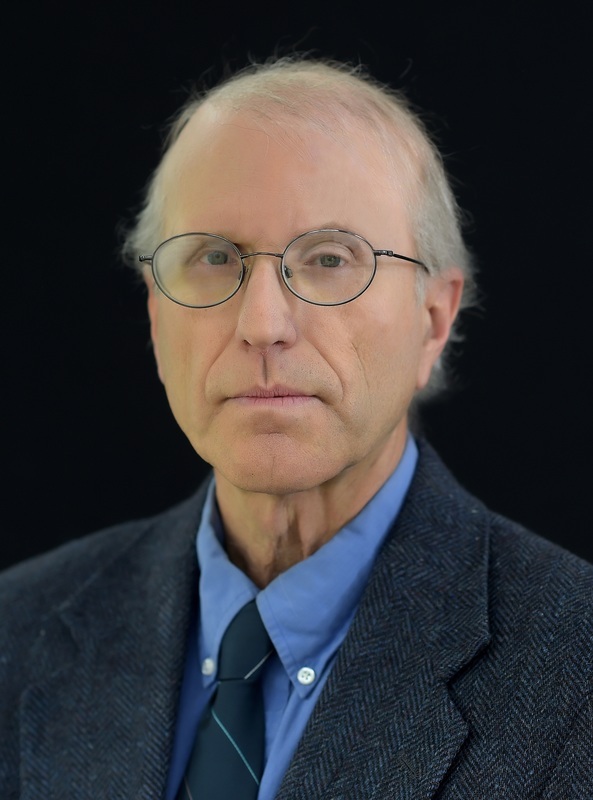 David M. Morrison is a retired branch line manager of the Long Island Railroad, railroad historian, and current co-chair of the Oyster Bay Railroad Station Restoration Committee. He is a charter member of the Railroad Museum of Long Island, as well as the author of five other books, including three Images of Rail titles: Long Island Rail Road Stations, Jamaica Station, and Long Island Rail Road: Port Jefferson Branch. The Images of Rail series celebrates the history of rail, trolley, streetcar, and subway transportation across the country. Using archival photographs, each title presents the people, places, and events that helped revolutionize transportation and commerce in 19th- and 20th- century America.